AmBank, a Malaysian bank part-owned by ANZ, has installed a Murex risk management tool to help meet regulatory and reporting requirements as well as improve internal oversight. The new MX3 risk tools will help the bank to oversee its risk management activities for fixed income. Installed over a period of eight months, the system covers historical value at risk calculations, stress testing, back testing, market limits monitoring, compliance checks, risk aggregation and regulatory reporting. Australia and New Zealand Banking Group is a major shareholder in AmBank, which has recently been in the news for its surprise prizes to customers. Earlier this month, a couple from the north-western state of Penang received £3,966 unexpectedly for making a deposit at the bank in January. 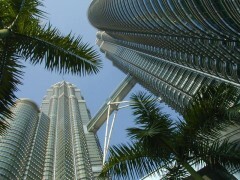 Established in 1975, the bank runs approximately 200 branches from its base in Kuala Lumpur. It also covers conventional and Islamic financial services including retail, commercial, transaction, corporate, investment and institutional banking services. The investment bank has consolidated all front office trading activities on a single platform – MX.3 from Murex. Bank and ride-hailing service team up.